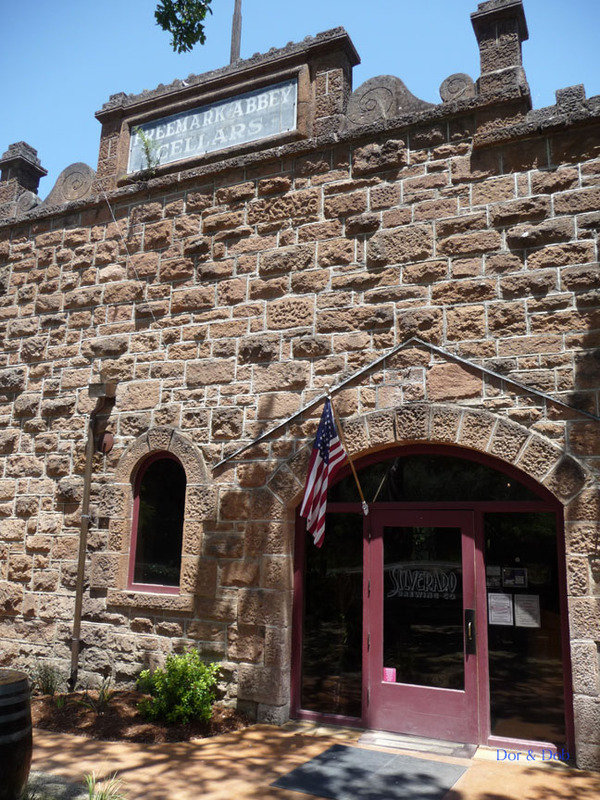 Silverado is in a large historic old stone building right on the highway (formerly a winery) in the heart of California wine country. 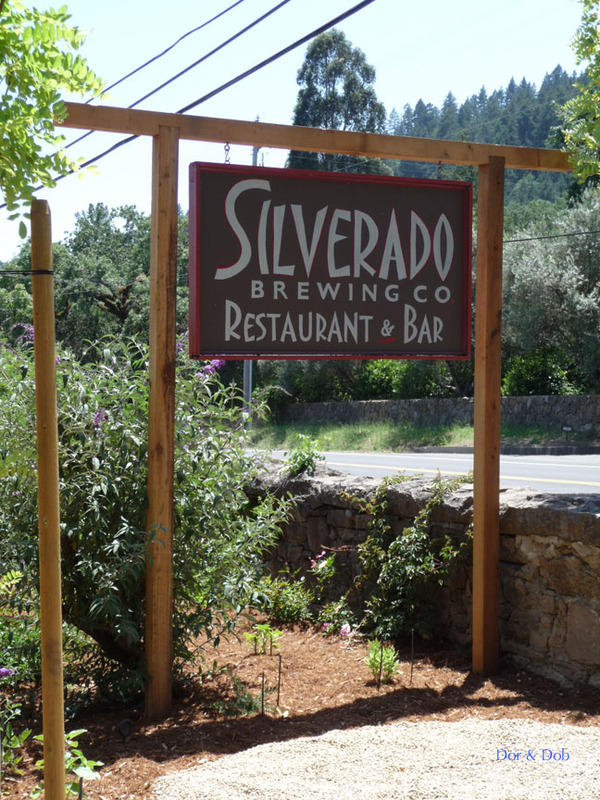 Out front are a number of picnic tables perfect for a meal with great views of grape vines. Inside, the wooden bar runs to the left into a larger room with a tall ceiling, ceiling fans, and large windows looking into the brewery (which has a lovely copper mash tun and brew kettle). On the right, extending to the back of the building is the dining section. This has a barrel-vaulted ceiling (like a wine cave). 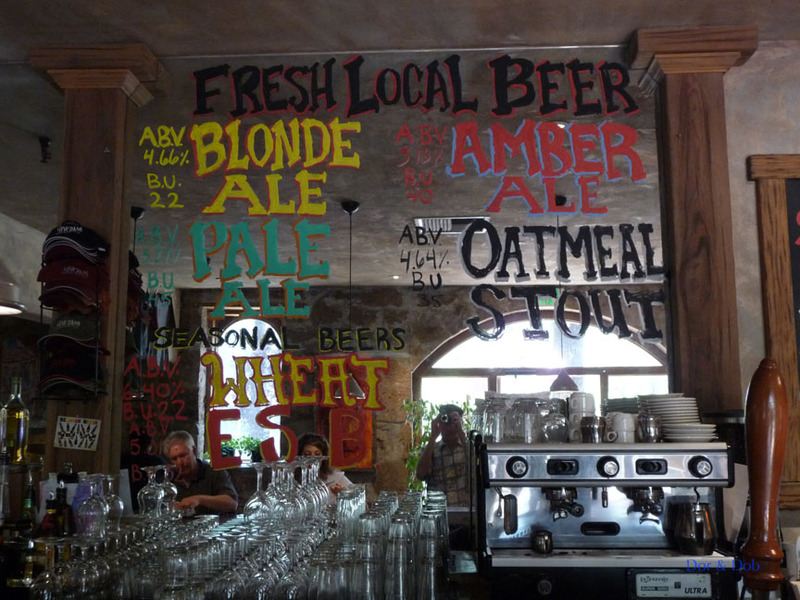 The bar back is simply composed of mirrors on which the beers are listed in bright colors. 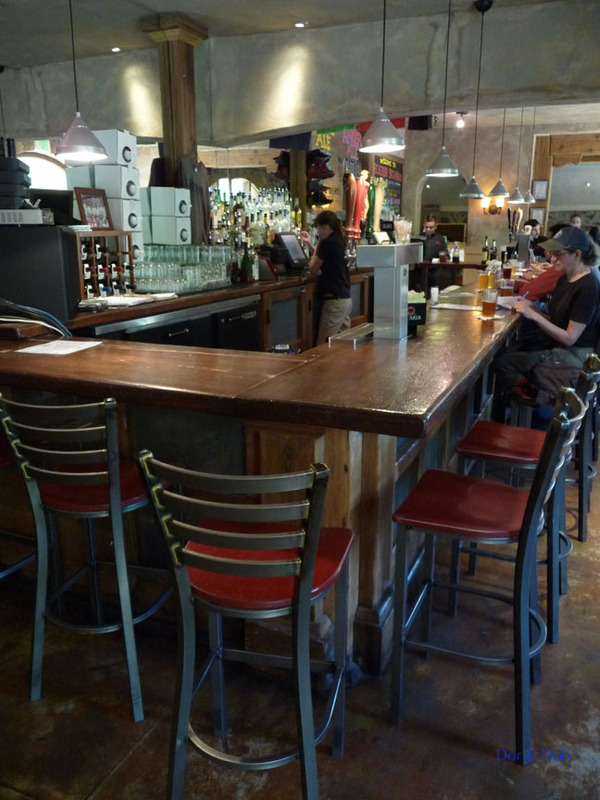 The under bar area (by your knees) is a wooden frame with a metal mesh that is reminiscent of old-fashioned pantries. The same mesh covers the liquor storage area below the bar back. 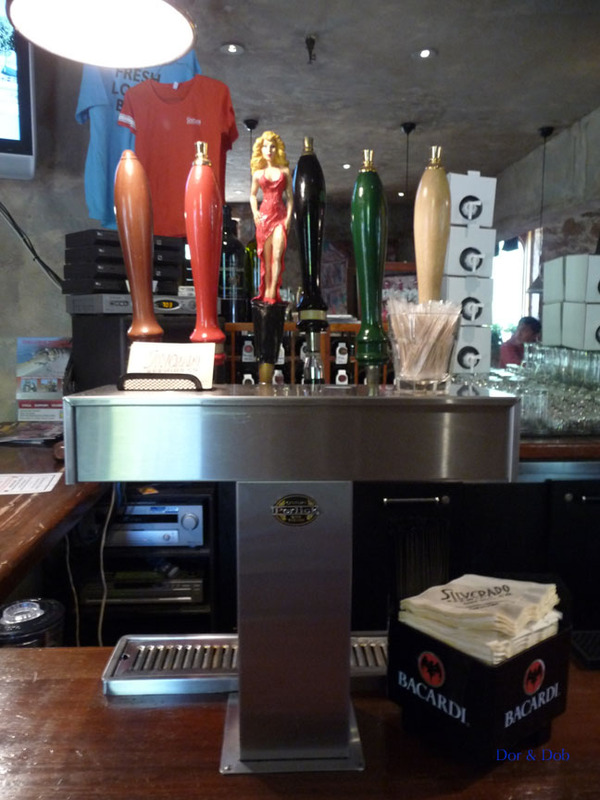 On our visit, the beers were a Blonde Ale, a Pale Ale, an Amber Ale, an Oatmeal Stout, and two seasonals (Wheat and ESB). 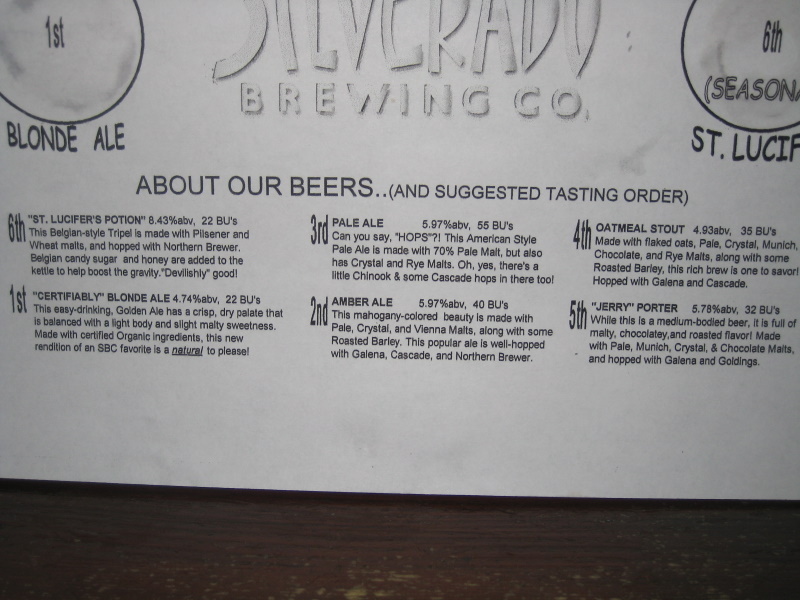 The Pale Ale was decent, if not stunning. The food looked good - California cuisine, very natural, and fairly up-market - but we didnâ€™t try anything so canâ€™t rate it.